We are open to anyone interested in Arvo Pärt’s music and world of ideas. The Centre offers a variety of opportunities to listen to the composer’s music and gain a deeper understanding and interpretation of his work. We also invite you to enjoy the exhibition that covers the entire building, films introducing Arvo Pärt as a composer, educational tours, and talks. 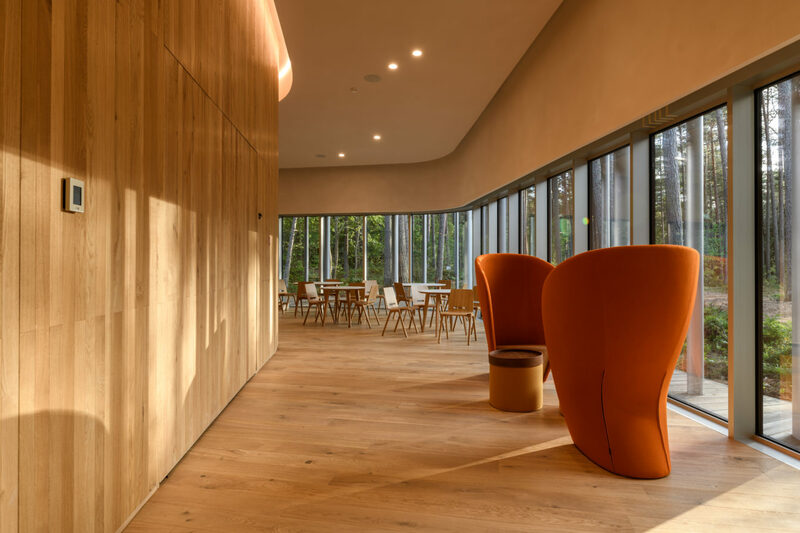 A chamber hall with a view of the forest creates a special ambience, while the cosy library offers reading material on music, art and theology. Researchers may access Arvo Pärt’s personal archives, which store and interpret the composer’s creative heritage. The tower of the Arvo Pärt Centre will be open for visitors from spring 2019. It will be available during the opening hours of the Centre. Up to 5 people can go to the tower at the same time and they must be accompanied by an Arvo Pärt Centre employee. Information desk: +372 335 3000.